Samsung has unveiled yet another Ultra HD television after revealing a 105-inch curved one that they would be showing off in the upcoming CES event to be held in Las Vegas. The 110-inch inch Ultra HD television would initially be available in only China and the Middle east. The top elites and the Sheikhs would most likely grab this product and change the outlook of their living room. 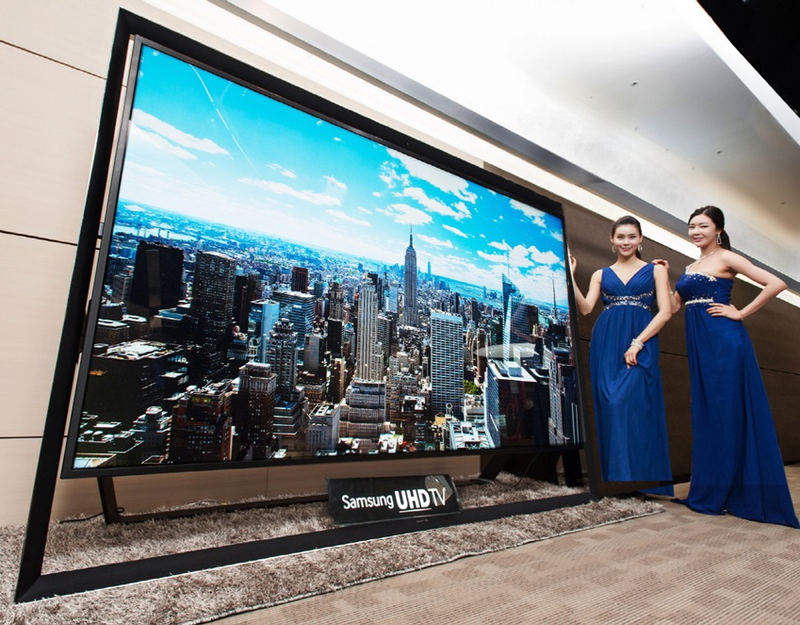 The 110-inch UHD version belongs to the same family of the 85-inch S9 TV which was launched at the beginning of 2013. The 85-inch carried a price tag of $40,000. For a 110-inch we can guess the price going up to at least 70,000 (just our prediction). What features are available? The TV would have features similar to that of its sibling such as upscaling from Full HD to Ultra HD. A three way 2.2 channel audio setup, Smart TV functionality and Samsung’s Precision Black Pro technology which would be able to provide a high contrast ratio.